One does not turn to James Wright for laughter, so it came as something of a surprise to find him writing a tribute to the Italian satirist Giuseppe Gioachino Belli. The tribute appears in Wright’s last collection, the posthumous This Journey (1982), and was fashioned in Belli’s own favored form, the sonnet, making it the second to last of Wright’s half-dozen and the first after many years, indeed the first after “Saint Judas” (1959), the celebrated title poem of Wright’s last book in which traditional form was the rule. Half a dozen is not a large number, but Wright made his mark in the sonnet before abandoning the form: his “Saint Judas” is one of 92 poems from the previous century chosen by Daniel Bromwich for American Sonnets (2005), a slender anthology from the Library of America. Inspired by Belli or not, Wright’s return to the sonnet in This Journey, a book composed at the end of his life — he was dying of cancer at the time — must have functioned for the longtime reader of his work as a kind of rhyme, both well-prepared for and unexpected, yielding to a need, or at least desire, for formal closure, while offering up the pleasure of surprise. It is not only the Romans who are gone. Won from the world his fashionable stone. Where it stands now, he doesn’t even know. The latest Romans who succeed him there. And sprayed a scarlet ᴍᴇʀᴅᴀ on his shawl. Fusses and frets to rinse away the stain. Rain might erase when marble cannot save. Not quite a prayer for oblivion, the poem extols the hidden and nameless, preferring the valet-like service of the rain (which fusses and frets over the dirtied gentleman) to the magisterial efforts of the stone. The stain here is not sin, but insult, yet that final word “save” does suggest a contrast between the humility of Christ and the majesty of the Church, a contrast with no small significance in Belli’s own poetry. The ironies are clear, so clear one might not take care to notice that this Christ-like rain is not tendering its care to Belli, who lies elsewhere, but to the Church — if I might put it that way — erected in his name. A river divides Belli from his posterity, and Wright, standing on this side, has already passed over in his care to the other. The times were crude, especially so for the underdogs with whom these sonnets deal, but not so crude that they could not see themselves, in their imaginations, in high office. Belli saw it also and he knew how, politely, to bring them down — and up ! — to their betters by a knowledge of the language. A fair summary of Wright’s accomplishment too. 1 [Back to text] I take the figure six from Above the River: The Complete Poems, ed. Anne Wright (1990). Three appear in Wright’s first book, The Green Wall (1957): “To a Troubled Friend,” “To a Fugitive,” and “My Grandmother’s Ghost.” After these comes “Saint Judas,” and then, after long pause, two last sonnets appear in This Journey: Wright’s tribute to Belli and “May Morning,” the latter an experiment in which a rhymed and metered sonnet is run together as prose (as noted by Kevin Stein in James Wright: The Poetry of a Grown Man, 138-39 and 198 n. 21, crediting Michael Hefernan with the discovery). Conceivably, Wright also thought of “Listening to the Mourners” as a sonnet. Its fourteen irregular, unrhymed lines appear in Shall We Gather at the River (1968). 2 [Back to text] I mean the century leading up the anthology itself. 3 [Back to text] The reviewer is Alan Williamson, writing for The New Republic. See James Wright: The Heart of the Light, ed. Peter Stitt and Frank Graziano, 411. 4 [Back to text] Wright, Above the River, 325. 5 [Back to text] William Carlos Williams, “Preface,” The Roman Sonnets of Giuseppi Gioachino Belli, n.p. Published on December 14, 2012. Click on the image for a legible text — or go to the online version (link). The name rang a bell, but I am not an opera buff, so I guessed a Frank O’Hara reference. 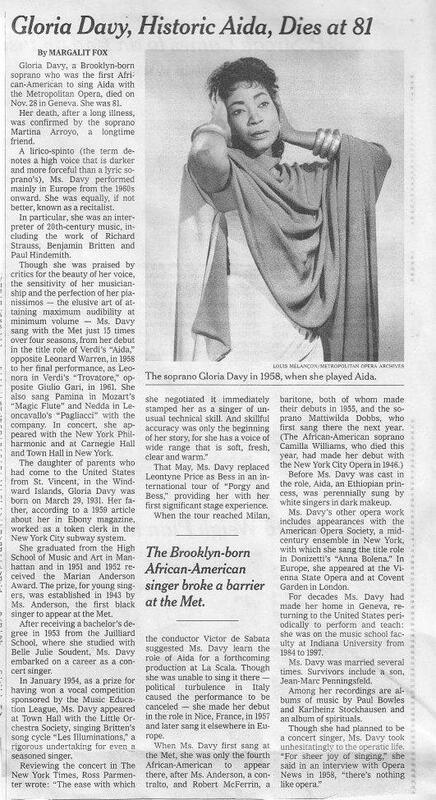 Which was close: Gloria Davy sang the libretto that James Schuyler wrote for Paul Bowles, about which my colleague Paul Bauschatz wrote a fine essay, “James Schuyler’s ‘A Picnic Cantata’: The Art of the Ordinary.” It appeared in The Scene of My Selves: New Work on New York School Poets, edited by Terence Diggory and Stephen Paul Miller, a book brought out by the NPF in 2001 (link). 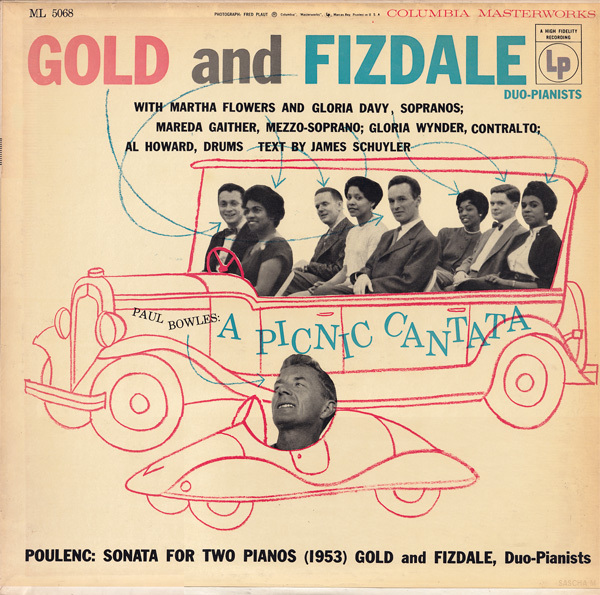 Cover by way of Discogs (click here for album info and on the image for a larger view). As the arrows indicate, Davy is sitting beside Schuyler, on his right, in the back row of the car. His libretto, apparently, also appears on the cover, bearing a dedication absent from the text in Collected Poems: “to Mrs. William Esty” — arts patron Alice Swanson Esty. Her paper are kept at Bates College, and there’s Schuyler material included there [link]. I’ll have to make a day trip. Schuyler’s libretto — his poem — is divided in six sections, the action of which is easily summarized: a surprise visit from friends, who propose a Sunday drive and picnic, then the planning of the picnic and the drive itself (section I); arrival and lunch (II); a reading of the Sunday paper, beginning with horoscope (III), followed by advice column (IV) and garden section (V); then the packing up and return home (VI). Given how much of this matter is supplied by a newspaper, it’s appropriate, I suppose, that the New York Times led me back to Schuyler’s poem. Or maybe not appropriate; but ironic, since the Times had no use for this text in ’54, characterizing it as nonsense, adding: “Absurdity can sometimes be delightful, but this … is merely absurd.” A judgment I find hard to fathom: Schuyler’s poem is a hymn, so to speak, to “The Art of the Ordinary,” to quote the subtitle of Bauschatz’s essay. Yes, there are dizzying moments, especially if one wants to differentiate characters amid the lovely bubbling of voices. But absurd? Nonsensical? 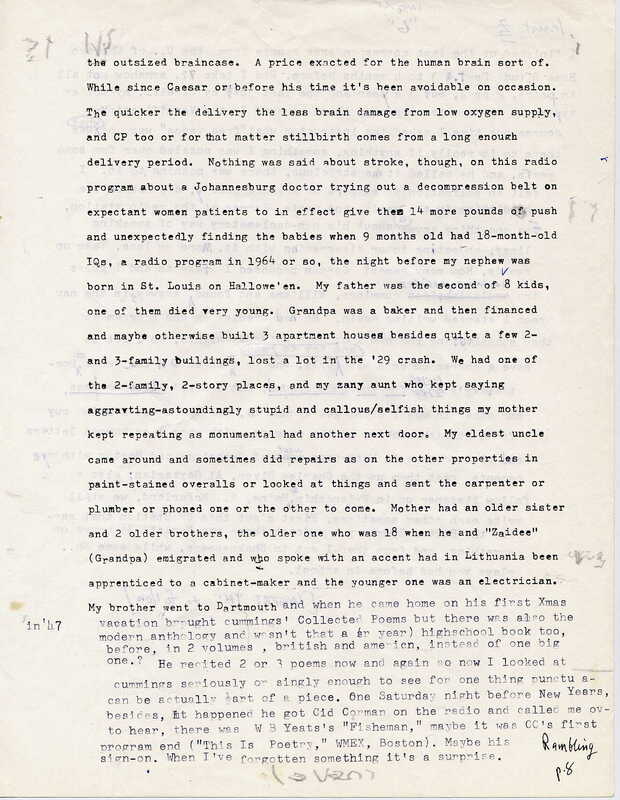 As Bauschatz notes, “Schuyler’s typical poetic practice presents an ordinary mind or minds, somewhat befuddled, trying to organize or make coherent sense of ordinary events in ways that also let us, his readers, partake in the organizing process.” The Times, obviously, had no interest in partaking. Four women, one of them, once upon a time, Gloria Davy. I clipped her picture yesterday, and put the rest of the paper in the bin. This was the first time I have attended the Louisville Conference — I found it friendly and fascinating. There were plenty of panels on topics that were immediately relevant to the NPF, especially on modern poetry, but there were also panels with more unusual themes (zombie apocalypse!). You can see the whole program here. 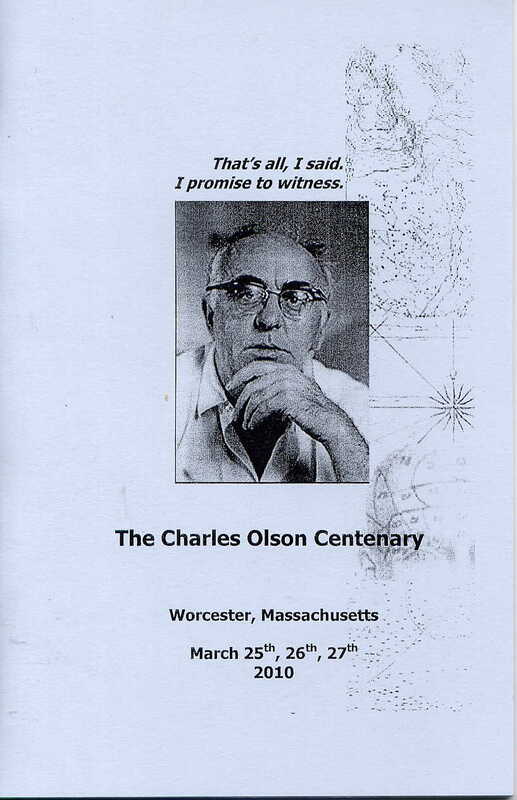 On Friday the 25th, I attended a panel titled “Re-envisioning H. D.’s Late Writings,” which was sponsored by the H. D. International Society. I was also going to present on H. D., so I found this one particularly interesting. Marsha Bryant presented on H. D.’s Helen in Egypt in the context of contemporary epic film — she found that there are many similarities in the ways that Hollywood and H. D. reimagine Homeric epic. Lheisa Dustin presented on the psychological underpinnings of H. D.’s work, teasing apart some of the difficult passages in Helen in Egypt and The Sword Went Out to Sea. Finally, Jane Augustine read a paper by Emily McCann, who could not attend the conference. It was on “Queering H.D.’s Trilogy.” Donna Krollick Hollenberg — like Augustine a longtime contributor to NPF publications and conferences — offered many insights in a lively discussion after the presentations. My own presentation came later. Adra Raine of UNC Chapel Hill chaired our panel, “American Modernism and the Life of Things,” a topic suggested by Paideuma contributor and University of Maine professor Tony Brinkley. We were joined by Rebecca Griffin, who is attending UMass Amherst. The four of us are friends from our time at Maine, though Adra and Rebecca have moved on. My paper was on H. D. and Mikhail Bakhtin. Rebecca worked on George Oppen. Adra presented a paper on the late poetry of Wallace Stevens. Tony ended our panel with thoughts on William James and Ralph Waldo Emerson. After the presentations, we attended a great reading by Rae Armantrout, who was a keynote at our own conference on The Poetry of the 1970s and who has read twice in the New Writing Series. Here’s a photo, but I am afraid it is not very good — my camera seems to be having trouble focusing. This wasn’t a problem for the audience, as Armantrout kept us rapt, and managed to draw laughs from all corners of the auditorium. On Saturday I attended a panel on “Regions of Practice: American Poetics of Relational Space,” which was packed with NPF alumni. It was very pleasant to meet Ondrea Ackerman, who presented on geopoetics in Gertrude Stein and Robert Grenier. Her article “The Periplum of the Pisan Cantos” will appear this fall in Paideuma 38. George Hart presented on Larry Eigner. 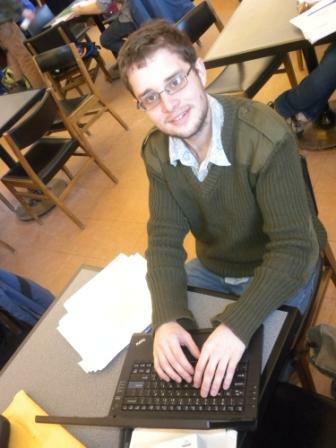 His work has appeared in Sagetrieb and he has attended our conferneces. The panel was chaired by Barrett Watten, who has been a keynote at our conferences and contributed to NPF publications as both poet and scholar. Another panel I attended was on music, text, and poetry. Robert Zamsky presented on Robert Creeley‘s relationship to music, Mark Scroggins on the music of the Mekons, and William R. Howe on the unusual poetry and music of Bob Cobbing. Howe received his M.A. at Maine, working with Burt Hatlen and Carroll Terrell. Scroggins, a longtime friend of the NPF, has contributed to Sagetrieb numerous times and been to several of our conferences. The last presentation I attended was also on modern poetry. Rachelle Katz Lerner, a biographer of Kenneth Rexroth, wrote on the contemplative nature of his poetics. She has also presented on Rexroth at the NPF conferences. 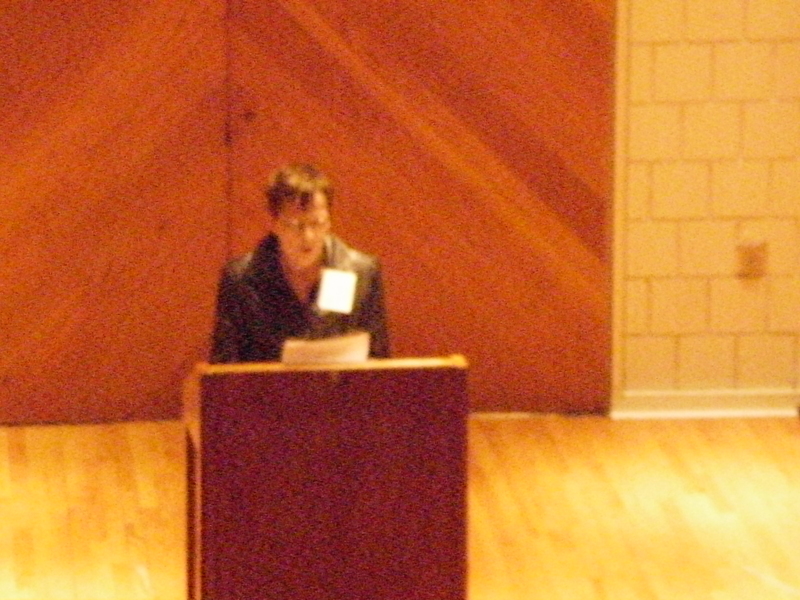 Donna Hollenberg presented on Denise Levertov’s poem “During the Eichmann Trial.” She has contributed to Paideuma, Sagetrieb, and many of the NPF’s conferences. George Hart’s presentation on Guy Davenport and Ezra Pound came last. The conference ended with a party at the house of another longtime friend of the NPF, Alan Golding. This party included a poetry reading that will be on PennSound. At the party I was particularly fortunate to spend time talking to Lerner, who regaled me with off-the-record stories from the life of Kenneth Rexroth. One of the delights for longtime readers of Larry Eigner in the new Collected Poems is the extensive representation of Eigner’s juvenilia. The editors — Curtis Faville and Robert Grenier — have included a photographic reproduction of Poems by Laurence Joel Eigner, an eighth grade class project, and a section of “First Poems (1937-1950).” There are twelve pieces in the class project; the section that follows adds an additional thirteen, written when Eigner was 9 to 22 years old. 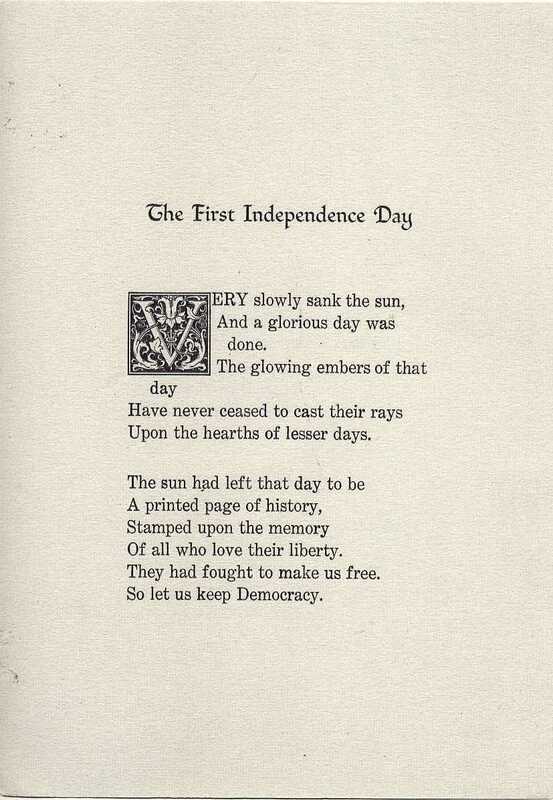 All but one of these early poems was published, as Grenier points out in his headnote. He also points out that the earliest poems were dictated, Eigner receiving his first typewriter as a Bar Mitzvah present in 1940 and only slowly coming to master the typewriter’s use. Which come to my ears! The mosquitoes are winning the fray. For the rest of the unhappy day. And here, from 18 years later, is the ending of “The Wandering Mosquito”: “he wanders miles and miles and / becomes aware of the window / where the moon is // … // and it’s raining outside // 94 humid // he hasn’t hurt me yet // I have to open the window // his head is a constant drop of blood.” What has changed between the two poems is not simply the poet’s form, but the poet’s world, which is larger now, and more elastic, no longer human-centered. The mosquito who gets lost in that world is no longer a mere antganonist; it’s now also a force of illumination, allowing the poet to feel his way along the elastic contours of perception, stretching those contours to meet the edges of the world, which even has an opening now — a window through which the amazing bloody mosquito might move safely beyond attention. CREED: I live in one of the best countries in the world and wish to do all I can to make it better. PLEDGE: Every day I will do at least one thing to show I am a good citizen. I wonder about purpose, what priorities if not principles are possible, how to balance things. 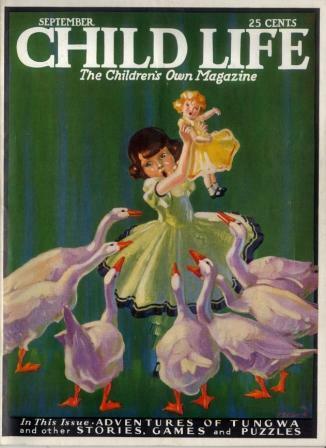 All together, Eigner was published three times in Child Life. We’ll be posting images from those other issues in the coming days. 1 [Back to text] On a related note, see Steven Fama’s superb list and readings of Eigner poems drawn from the news (link). to what degree should we, in reading the typescript (or transcription thereof), add to Eigner’s shorthand and (more importantly) correct his typos? There are maybe three dozen odd (not in the dictionary” words in The Coillected. for many, the endnote for the particular poem indicates that the word is intentional, based on margin notes by Eigner or other matters. For other odd words, however, there apparently is no information. The poem of course is what it is; the question is what should we as readers do — how far to insert, given Eigner’s habit of typing in shorthand and not always accurately (for the record, I am a worse typist). I wd hate to be responsible for dealing with Eigner’s typos and abbreviations in the absence of his advice. In my experience with the prose — and Eigner was more cavalier with prose than poetry — the abbreviations were time-saving devices not meant to be retained … except with conventional abbrevs. like “wd” and the like. But Eigner liked inventions too, and sometimes he considered the abbreviations (or typos) to be such. And he was open to suggestions. For instance, with “Blurb for Disabled Calligraphy” (in Areas Lights Heights: Writings 1954-1989), I suggested we keep his typo “mirrr” for “mirror,” and Eigner, after giving it due consideration, agreed. Of course, if I was editing the piece on my own, I’d supply the missing “o,” no question. Another, somewhat different example that comes to mind is the poem “What Next (To Do? ),” also in Areas Lights Heights. Here, Eigner mistakenly typed “philosophy” as “philosophyl.” I loved the suggestion of chlorophyll in this, and Eigner did too when I pointed it out, so he added the additional “l” to make the word “philosophyll.” In this instance, the typo was not so much preserved as used as the basis for a further revision. Needless to say, this sort of revision can only be made by an author. Intermediate version of Eigner's "Rambling (in) Life," showing Eigner's additions to the editor's typescript. Click on image for a larger view. By and large, Eigner loved editing as collaboration, in the sense that he loved the relationship as much as he did the project. He was lonely! And I did think retrospectively that this gave me an undue influence, which makes me squirm a little in memory. (Maybe “mirrr” really should be “mirror”? Maybe “philosophyll” should be “philosophy”?) On the other hand, the most basic way my editing prodded Eigner to rethink his work makes me glad I got involved: I would give him neatly double-spaced typescripts of his typescripts to proofread, and Eigner would then add new writing at the end of the page, even when the text was a decade old. I enabled a revision process he couldn’t or at least wouldn’t have undertaken on his own, since his own typescripts left little or no white space to work with, and retyping would have been a horrible chore. But all this is dancing around Fama’s question about corrections. My “diplomatic transcription” (an exact copy of the text — spelling, revision, spacing, line endings) is the right choice, perhaps, when the transcript appears alongside the original … when the goal is to aid in the reading of the original. But when the transcript is the only version available? As it happens, I’ve been reading Emerson’s journals this past week, comparing the different ways a single passage was presented in the Riverside Edition edited by Edward Waldo Emerson and Waldo Emerson Forbes and then in the Harvard Edition edited by Ronald A. Bosco and Glen M. Johnson and then in the new Library of America Edition edited by Lawrence Rosenwald. Each of these editions served a unique purpose. The Riverside Edition, coming a generation after the philosopher’s death, was proposed as an opening up of Emerson’s inner life, and it came with occasionally extensive narrative bridges. For instance, the spare entry for July 24, 1872, “House burned,” is followed in the Riverside Edition with five pages of biographical information. The Harvard Edition is scholarly, with a full apparatus. It gives us the entirety of Emerson’s “pocket diaries,” lists of readings and appointments and to-do lists and the like. (The Riverside Edition very nicely uses these to compile lists of authors or books quoted or mentioned for each year.) The Library of America Edition makes a reading version of the Harvard text, no longer identifying notebook name or manuscript page, no longer recording all the vagaries of the manuscript. So what about Eigner? For a scholarly edition, of course, everything should be recorded, so that even if correction is made, the original can still be reconstructed. But a reading edition? Of the poems? My gut feeling is that some editorial intervention is needed. Eigner’s mind and writing have an elegance that shouldn’t be sacrificed in the name of a too-faithful transcription. The editor’s task, I should think, is to reveal the elegance of Eigner’s occasional idiosyncrasy, which requires that idiosyncrasy be distinguished from inelegance (i.e., error). Except … that acceptance of error is part of Eigner’s elegance, his adherence to thinking as a moment-to-moment engagement with language and the world. So … does that mean that error needs to be distinguished from error? Yeah, I think so. Which means, alas, that the editor, following Eigner, is apt to make errors every step of the way. A thankless task! How easy it would for correction to get out of hand! I’m glad I didn’t have to make such decisions on my own — that I had Eigner to consult. But in bringing my decisions to Eigner, my policy, I guess, was that changes should be minimal: obvious typos needed to be fixed, but abbreviations I tried to leave as is. This then left a short or long list of puzzling words that may or may not have been typos and may or may not have been inventions, which I myself preferred to leave as is. Eigner, I found, was more inclined to normalize. With “Eureka,” for instance (see the text to the right), which Eigner and I never got around to editing, I suspect he would have seen “weiting” as an error for “writing.” But is it, in a text where “weight” and “meaning” are treated as synonyms? Perhaps “weiting” is writing that weighs meaning. And what about those typos that may be abbreviations, like “wrds” for “words” or “mch” for “much”? And what about the beauty of Eigner’s process, which the errors and corrections seem to be a part of? 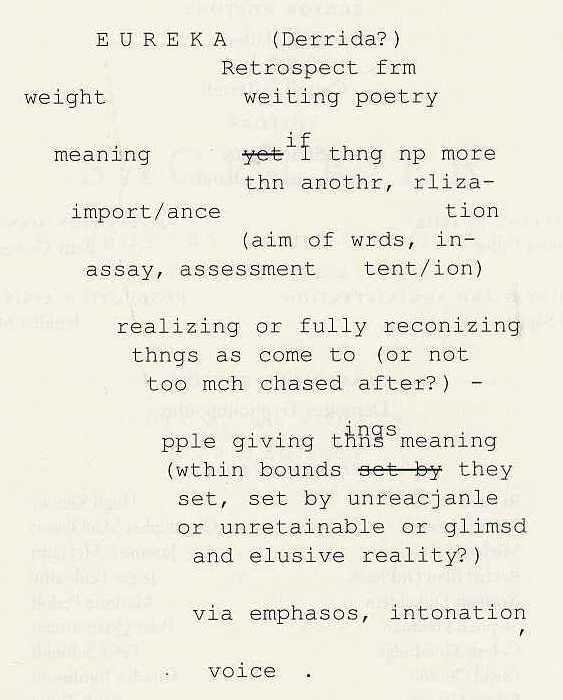 I mean, if writing is “rliza- / tion” and “assay, assessment,” shouldn’t we see that realizing take place, or fail to take place, as Eigner assesses his own wording, as he adds the “ings” above “thns” or fails to realize “no” by typing “np”? It’s a puzzle, all right. Curtis Faville, editor with Robert Grenier of The Collected Poems of Larry Eigner, has posted a three-party essay on his blog, The Compass Rose, on his relationship to Eigner’s work (part one), his approach to editing the work (part two), and his thoughts on Eigner as person (part three). These considerations form a sequel to his essay in the fourth volume of Collected Poems, “The Text as an Image of Itself.” That essay situates Eigner within a broader context: page design and poetics after the invention of the typewriter. All of this makes for a generous addendum to his editorial work. All decisions regarding type-face, composition and layout are aesthetic, though they may masquerade as practical requirements: legibility, size, density, and so forth. 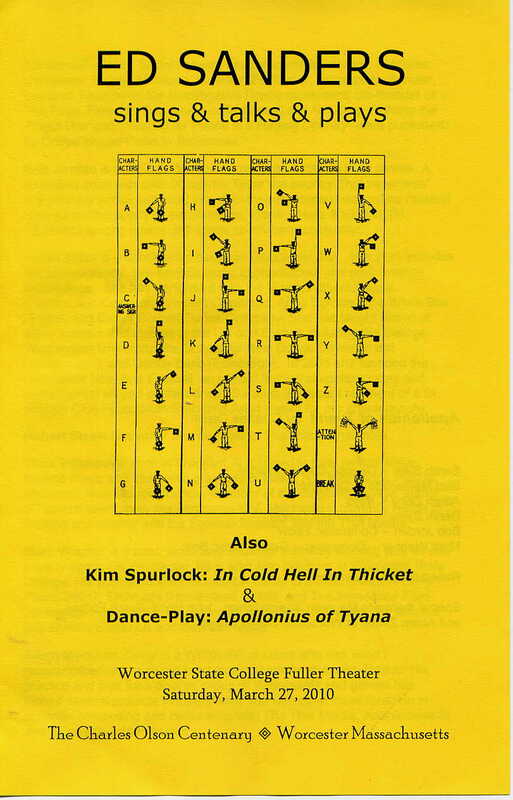 In the case of Eigner’s work, determined by the manual typewriter’s equivalent spacing, and the traditional letter-size sheet, these are a priori frames, within which other problems must be mediated. Eigner’s text itself is, therefore, in every sense, an “image” of itself — or, in William Carlos Williams’s sense, “the thing itself” — opaque and obdurate. It is not a version of something, but the thing itself. There is no evidence to suggest, finally, that Eigner wished that the overall shapes — the envelope or spacial outline of his set poems — were to be positioned precisely as they appear on his original holographs. Neither the corrective annotations and adjustments, nor the organic waywardness of his “journey” across the page, were intended to be slavishly replicated; nor could they be. The qualification here is that Faville distinguishes the shape of the poem as set by the typewriter from the disposition of that shape on the page. The latter is subject to interpretation; the former ought to be preserved. In this sense, the balance is clearly tipped toward material fact. Still, having allowed for an adjustment of one aspect of Eigner’s “a priori frame” (i.e., “the traditional letter-size sheet”), the possibility arises that a departure from the other — from “the manual typewriter’s equivalent spacing” — might also be managed, at least under certain circumstances. If the page is not crucial, perhaps the proportionate spacing isn’t either. A different edition might legitimately tip the balance in the other direction, toward interpretation. The issues Faville raises are familiar to me from Emily Dickinson scholarship, where competing notions of faithfulness — of what constitutes a substantive or accidental feature of the text — have led to radically different transcriptions of the manuscripts. What those radical differences teach, moreover, is that a definitive edition is not, finally, possible. What is possible: an edition where the decisions are explained and options shared, so that readers can share in the editing as well as in the poetry. Which makes Faville’s reflections especially welcome.